C-Trak is dedicated in helping our customers, offering a wide range of quality conveyor products. Using our expertise to offer bespoke solutions of large conveying systems. 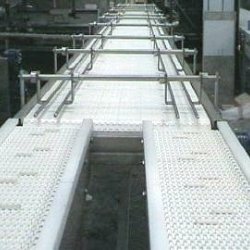 All of our conveyors are custom made to your specification and when a extra wide belt is needed you can discuss your options with one of our technical engineers to find the right solution at a price that suits your budget. From the moment you contact us right through to when we commission your conveyor you won't be disappointed with our project management you can be confident that at every stage the process will run smoothly. Our conveyors are built to last and only the best components are used we value our reputation each customer is treated with respect no matter the size of the order.